This incomparable penthouse is located next to the sparkling infinity pool at Vista Cay Resort. 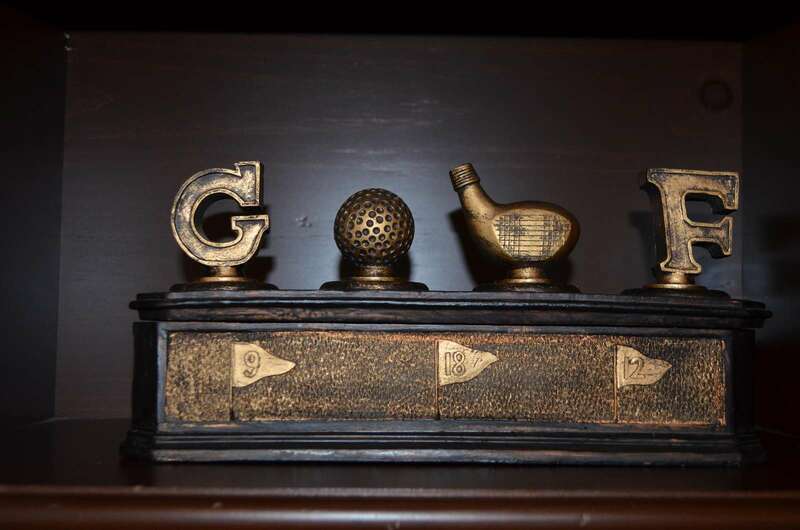 It is a tastefully decorated home, where you can find beautiful golf themed paintings and one-of-a-kind photographs of famous courses. This magnificent 3 bedroom, 2 bathroom penthouse is pure luxury and comfort. It is fully equipped with modern home appliances, upscale furniture, and the latest in home entertainment. Luxurious linens, bath and beach towels are provided for your comfort. High-speed wireless Internet, cable and local calls are included. The living room features a large flat screen HDTV, blu-ray DVD player, Wii console and games. There is inviting outdoor furniture in the private balcony to sit and relax on lazy afternoons. Located close to the Orange County Convention Center, Orlando attraction parks, restaurants, shopping and some of the world’s best golf courses. Whether you are an avid golfer or you just enjoy luxurious upscale living, this is the home for you! 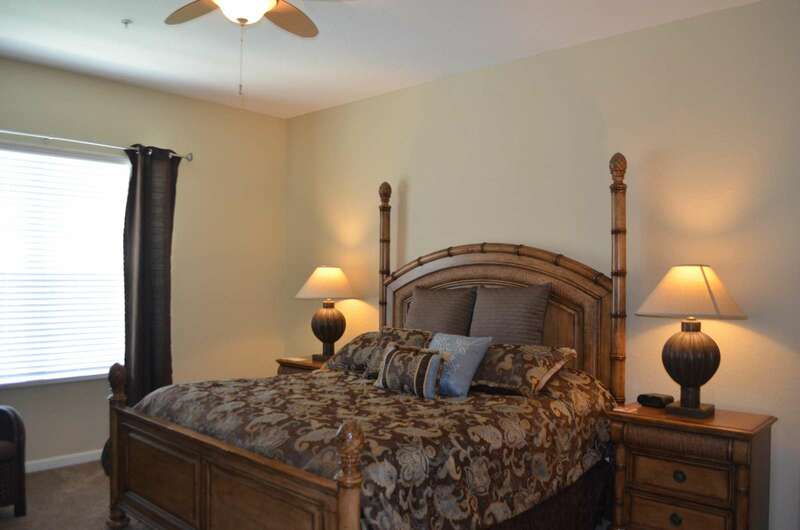 You will find a resort style master suite featuring a king size bed, lavish linens, a 42 inch flat screen HDTV with blu-ray DVD player, a beautifully appointed master bathroom and a large walk in closet. The second and third bedrooms have a queen bed and two full beds, flat screen TVS and blu-ray DVD players. 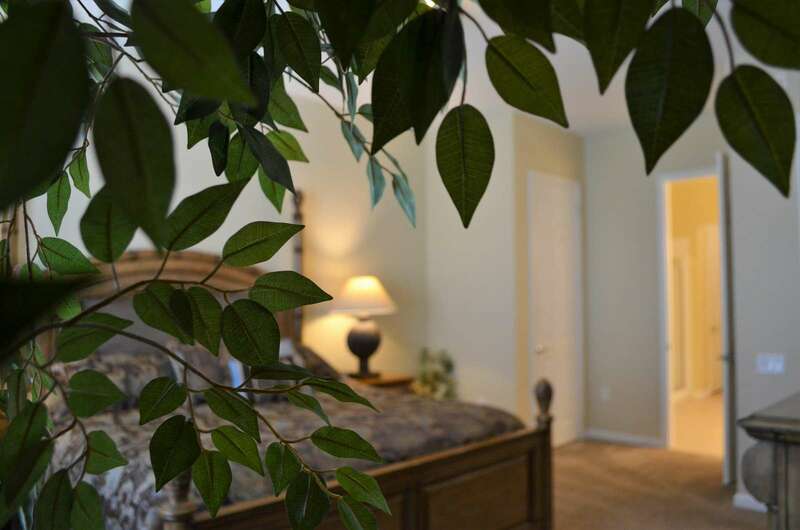 It is an ideal home for families and convention travelers. The spacious interior has an open floor plan that is perfect for entertaining. The living room has gorgeous leather sofas, a beautiful entertainment center with a large flat screen TV, blu-ray DVD player, Wii console and games. This is a room you definitely will enjoy spending time in! The fully equipped kitchen is beautifully designed with hardwood cabinets and granite countertops. Modern stainless steel appliances will make any meal preparation a delight. A long serving/snack bar is a wonderful family area for all to gather. 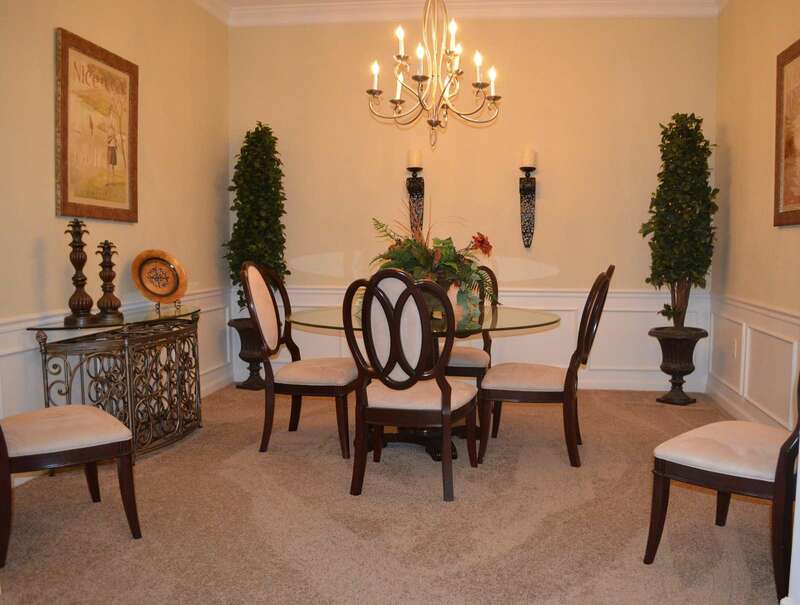 The charming dining room, with seating for six, has a beautiful chandelier. 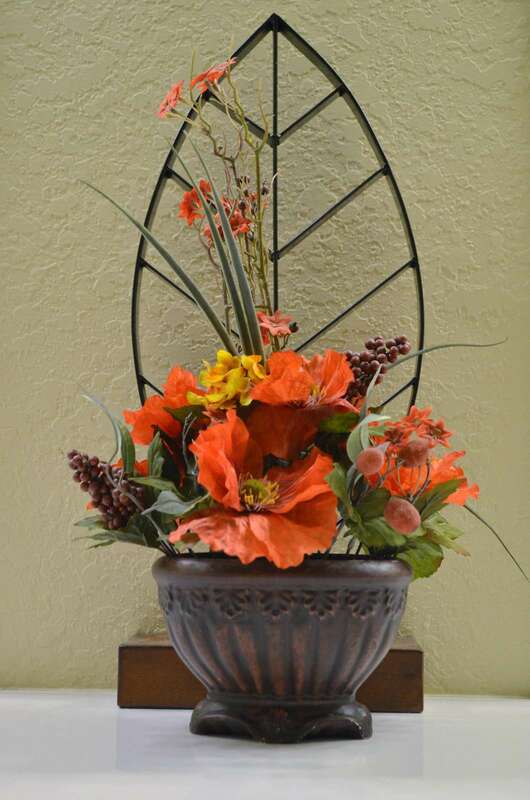 It is an ideal setting for anything from candlelight dinners to five course banquets. 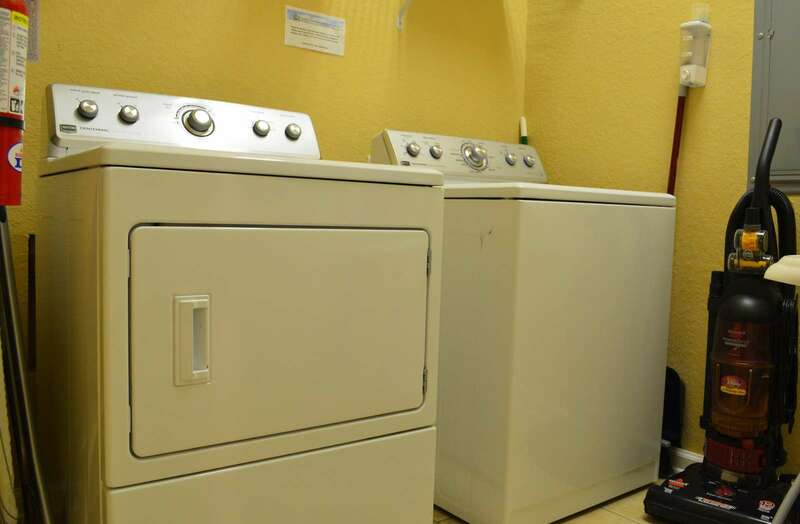 A large capacity washer and dryer will ensure that doing laundry during your stay will not keep you away from having fun for long. This property has 1 King(s), 1 Queen(s), 2 Full(s). A Reservation Deposit in the amount of 50% of the rental fee and a $250 refundable security deposit will be due at the time the booking is made .The remaining balance of the rent will be due thirty days prior to arrival. If you are booking your reservation within 30 days of your arrival date, the total rental amount and the refundable security deposit will be due at time of booking. Smoking and pets are not allowed inside the house. Failure to abide by these rules could mean the forfeit of the security deposit. This was a great place to stay. It was clean and in a very quiet neighborhood. Also it was close to the theme parks. I would recommend this stay to anyone. 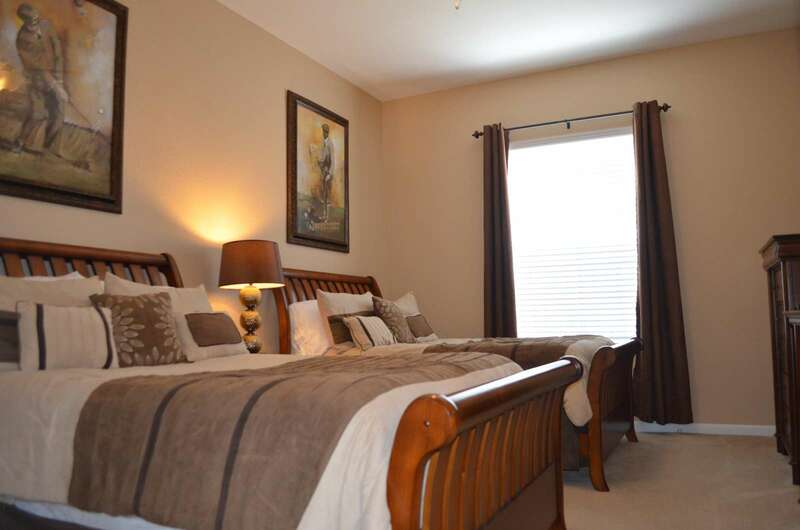 This condo was everything that we wanted and lived up to the pictures and description online. We felt comfortable the minute we walked in, and there were never any issues. The complex was gorgeous with a great walking trail, and the pool area was great. The unit was clean, and stocked with a great starter package. Very family friendly, there is even a high chair and pack and play in the unit for guests with small children. Our favorite feature was the balcony, where we would enjoy our coffee every morning. It’s also convieniently located if you want to go to the parks. The owners thought of everything, and we would definitely rent this condo again! 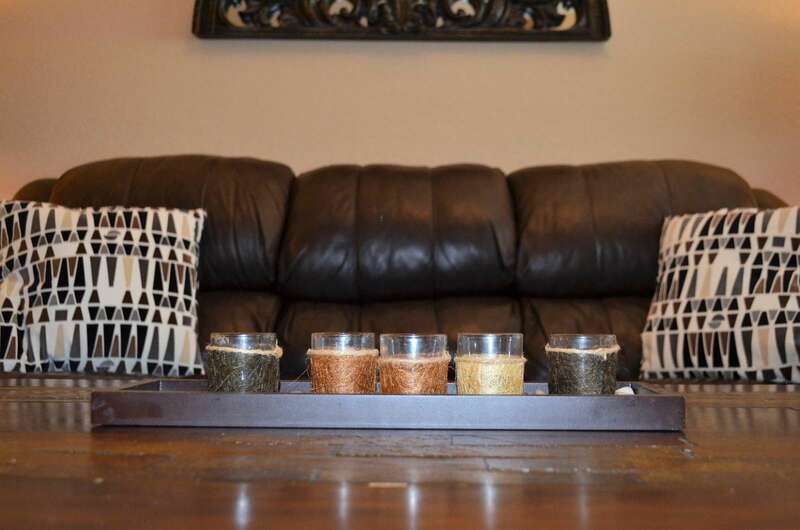 We traveled as a family of four and absolutely loved this beautiful and spacious condo! It is very close to the pool and is equipped with many helpful amenities (pool towels, room-darkening curtains, Netflix, night lights, umbrellas, etc). In addition, it is located about 4 miles from the parking ramps at the Universal Theme Parks, within 2 miles of the Orlando Eye (near multiple good restaurants), and within 1 mile of a Publix. There is a fun walk along the Cay, and at times interesting wildlife to see (like the alligator we saw once), but we always felt safe in the gated resort. The main pool itself is quite large for people of all ages and accompanied by a wading pool for young children. The hot tub was really nice given the unusually cool weather we experienced in March 2018 during our stay. We would happily stay at Vista Cay Resort and in this particular unit again! This was the perfect place to stay. I loved that it is central to all theme parks. Quiet and beautiful. A home away from home! We will be back! Super nice condo. Everything was great. Close to the pool, clubhouse, and all the attractions. We were just 2 of us, but this would be great for a family Master is separated well from the 2 kids rooms and close to all the theme parks. House was exactly what we needed for our convention. Conveniently located and allowed us to walk back and forth. The hot tub was also nice to relax in. 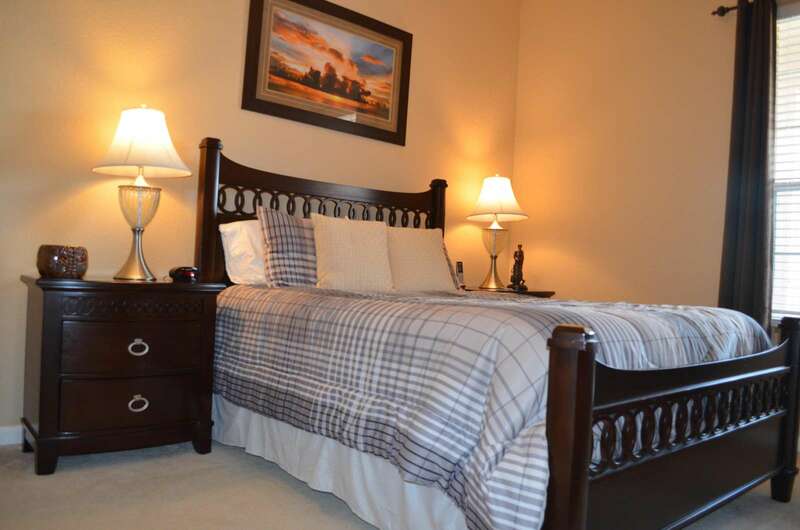 We were pleasantly surprised at how nicely furnished and decorated this condo is. It had everything we needed and was so much better than staying in a hotel. The gift basket from the rental company was very much appreciated. We will definitely stay here again if it’s available next time we come to Orlando. Very nice property, would definitely stay there again. We've been staying at Vista Cay for over the past 6 years. It's always great for me and my family's vacation. We usually stay at the Tideview property but this year changed to the Golf. We absolutely LOVED it and as usual we'll return next year! Thank you ITZ for always making our accommodations above excellent. The property was beautiful and very clean! There was every thing available that we needed and the basket of goodies was so thoughtful. We only checked out the pool as far as amenities, but it was large and heated! They even had a kid's area. We will definitely want to stay here again on our next trip to Orlando! We couldn't have been more pleased!! This place was SO clean and comfortable. Location was great, and this company was excellent to work with!! Highly recommend and would stay here again! My family stayed in the Golf unit at Vista Cay for 8 nights in July. 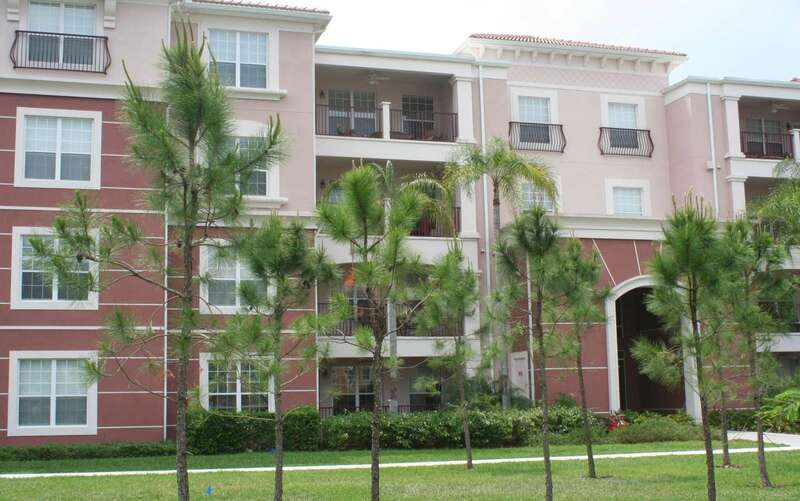 Here is my review of the condo at Vista Cay unit 401. First off- we picked this unit based off the location to the pool and the fact that the 3rd bedroom has 2 full size beds instead of twin beds. We are very glad we picked this unit. The building could not be any closer to the clubhouse and pool. You literally walk out the from door and go around the corner and there you are. The pool is beautiful and large- never felt too crowded. The condo faces the parking lot but that's okay. There is an extra large balcony and nice furniture if you want to sit out there. You do have a view of the Orlando eye which was nice. As far as the unit- it is beautifully decorated and very clean upon arrival. The air worked great and there was a nice little welcome basket full of snacks when we arrived. That was a very welcome detail that meant a lot. The unit had enough dishes and silverware to accommodate our group of 6 and also had necessities like toilet paper, laundry soap, dishwasher soap, small hotel sized lotion and shampoo/conditioner to start us off as well. We didn't have to go to the store to replenish for a couple days which was very nice after a very long day of travel. There were plenty of bath towels and washcloths and unexpected but welcome, beach towels for everyone. A couple other extras we didn't expect were a high chair, football and pool toys and beach blanket all for our use. Now I am not sure if previous tenants left some of that or if the owner provided but we did leave behind some beach toys and flotation devices that we didn't have room to bring back but thought it would be nice for the next people to have. The bedrooms were large and all had tv's. The beds were comfortable. Would definitely stay again and recommend. Surpassed the expectations! Clean, spacious, comfortable. We have booked several condos on different trips, but this was by far the most beautiful condo we have ever stayed in. Everything is thought out to make your stay as wonderful as possible. We really appreciated the welcome basket, fluffy towels, comfortable beds and bedding, ample paper goods, beach towels and pool toys. The attention and care given to your comfort is five star. We never had any issues with noise around us, and enjoyed the quiet inside the unit. 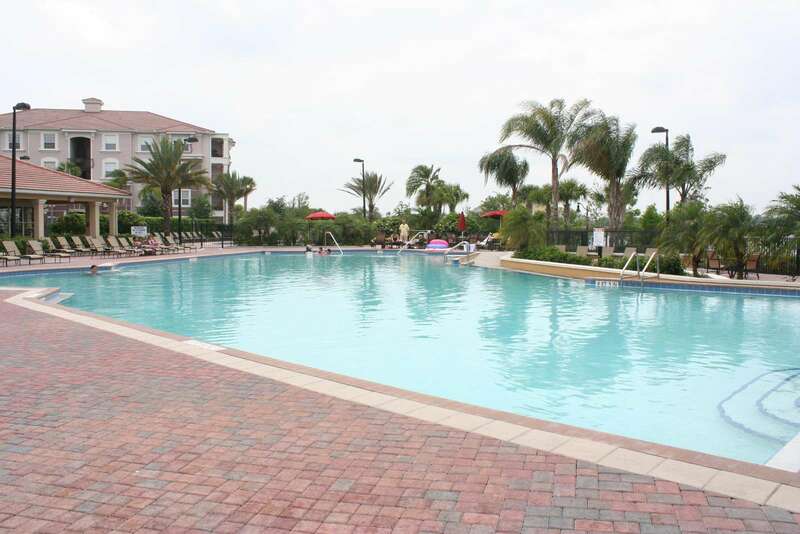 This unit is steps away from the pool and clubhouse, which was clean and well taken care of. There are people constantly cleaning the main areas of the condo and pool to keep it nice. The condo itself was spotless and clean, and looked exactly as pictured. The location was perfect for us. 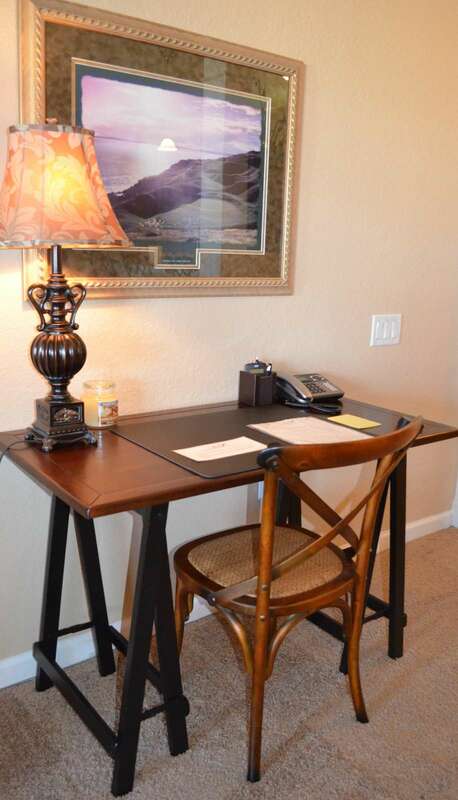 Just 7 minutes from Universal Studios and Sea World, and 15 minutes from the airport. I would stay at this condo again, and hope to sometime soon. I highly recommend this unit to anyone desiring a relaxing, warm and inviting space to come back to at the end of the day. 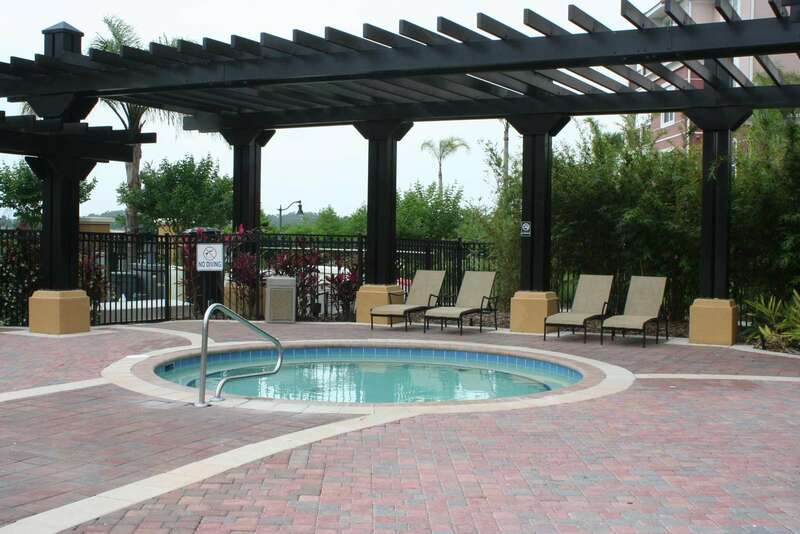 It's also a great unit to simply kick back and enjoy the beautiful pool and hang out for the day! This was our second time staying at Vista Cay. We loved it! ITZ did awesome job making this place clean and homey. I loved their attention to details...beach towels, shower towel, welcome basket, even needle and thread. We had a good time. Only small complaint is those exposed nails along edges of carpet and tile; I stepped on one of them and had a minor bleeding. This is why I don't give 5 stars. 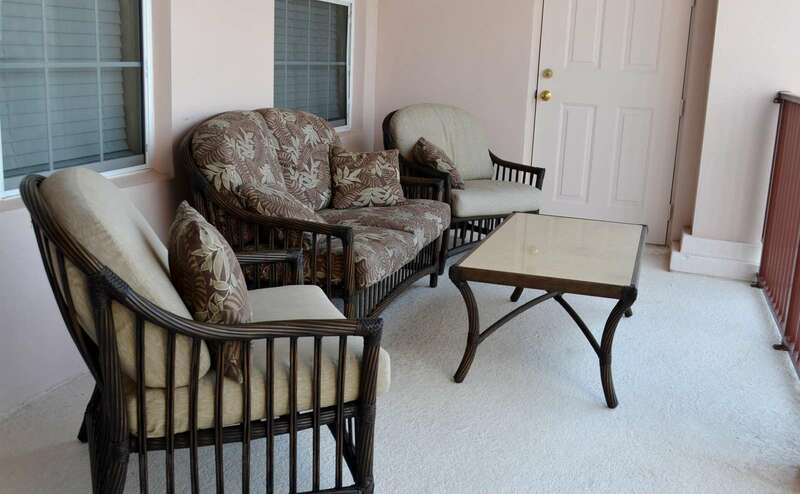 Very well managed property, condo is well equipped with everything, parking is plentiful, and the condos are quiet! Clubhouse is beautiful as well but we didn't end up using it. Easy access to Universal properties. So happy we stayed here instead of cramming into a hotel room. Stay here! We were so thrilled to open the front door and see the unit we had booked. Everything was so modern and clean and the gift basket was the icing on the cake. Our families went on and on about the accomodation being some of the best we have ever stayed in. Can't thank You enough and will definately use you again. Made the drive worth while. My group of ladies felt like we had arrived at the Ritz! This unit was stunning and we actually didn't want to leave it! Equipped with everything we needed. We were within view of the convention center from our balcony and could have walked! We plan to be back next year! Thank you so much! It isn't often that a rental far exceeded my expectations, but ITZ went above and beyond! Our accommodations were amazing. Vista Cay was located close to the airport which made it nice for our late arrival. Our team was tired and almost stopped for snacks and something to drink, but decided against it. To find a welcome basket with the very things were we thinking of purchasing was a pleasant surprise. The size of the gathering area was a perfect spot for our team meetings. Without a doubt we will be making ITZ our first choice from now on! We are used to staying in 4+ Star accommodations, and this condo tops any Disney/Universal/Sea World resort or hotel- honestly! 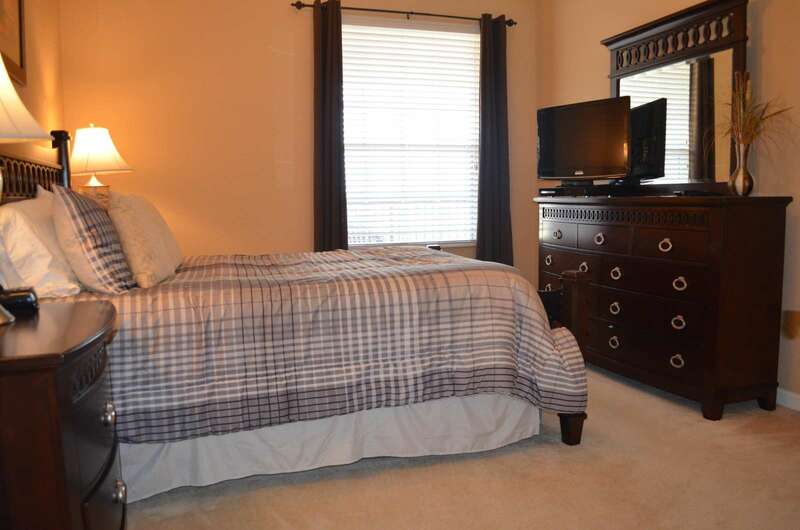 The furnishings were spectacular, well kept, and the unit was extremely clean. The beds were very comfortable- and this is usually our biggest complaint as we are a bit spoiled at home having a sleep number. We traveled with a total of 4 adults and 1 small child, and found we had more than enough space. The location cannot be beat if you are going to all the parks during your visit- easy on/off the highway, and just minutes to Universal and Sea World, but just far enough away from Disney to be able to avoid the traffic in Downtown Disney due to the construction. (Avoid Downtown Disney at all costs at dinner time- traffic due to construction is absolutely horrid!) Loved having a grocery store next to the resort. Drinks at the pool bar are FANTASTIC! 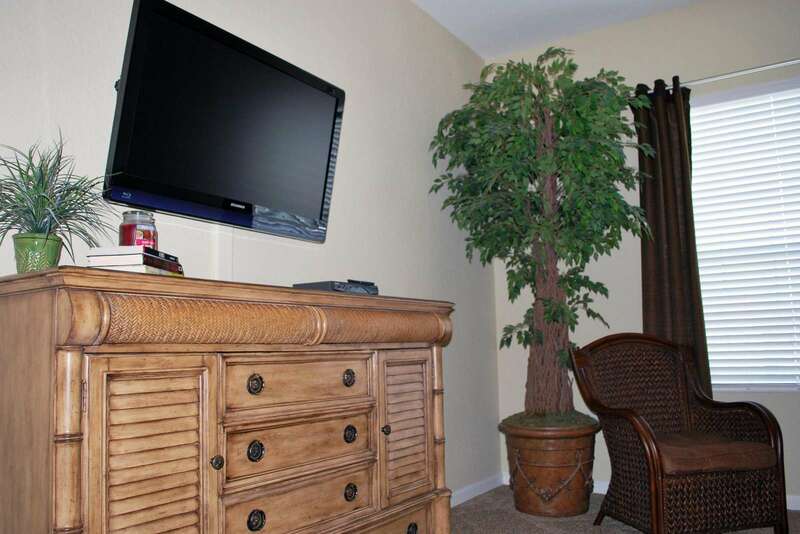 Televisions in the unit were just the right size in each room, and having the Blu-Ray player was a huge convenience. Management was extremely easy to transact with, and everything was done by email with only one phone call needed. LOVED that although the property had a lot of residents at the time, we did not have to stress over parking. (This is a huge concern at most time share properties closer to the Mouse!) More than enough basic supplies which was also something we were thankful for. Other rentals we have stayed at often did not have basics like paper towels and toilet paper, and not having to run out to the store right away was so nice. Only minor suggestion would be to update the cookware in the kitchen- the skillets burned everything we tried to cook even on low heat, and were not the greatest quality. The value is truly understated- this unit is our new favorite place to stay in Orlando, and prior to this visit we were exclusive to Disney Resorts! 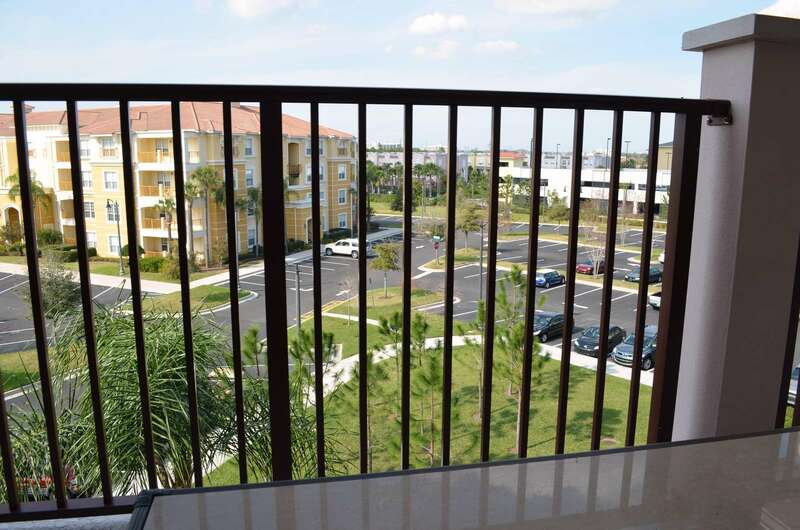 When we first planned our trip to Orlando, I was reluctant to rent a condo -- I just wasn't sure what to expect but immediately upon entering the condo, my fears were quickly extinguished. The condo was absolutely beautiful! It was spacious & clean & so very comfortable -- like home away from home. We also enjoyed that it was close to the heart of things but removed enough that, at the end of the day, we could relax without Disney looming close by. We went with my boyfirend's 5-year old son & 19 year old daughter and both were extremely pleased with their rooms. My boyfriend & I liked that while the kids were close by, we were able to have a little bit of privacy, too, since we all had separate rooms & areas of living space. I also enjoyed that, in contrast to staying at a hotel, there was a utility room off the kitchen to do laundry when needed and because there was a full kitchen & dining room, we could enjoy meals at "home" whenever we wanted. And, even though the building seemed to be filled to capacity, we never heard our neighbors (save one brief moment when a a group had gathered on their balcony to enjoy the warm night air; even then, they weren't overly loud or obnoxious). We had full use of the Vista Cay property, another perk to our stay. We spent time by the pool & enjoying the fitness room, as well. The grounds were extremely well kept - clean & fully maintained by the staff, and this condo's property managers provided amazing service to us throughout every stage of out trip. I would definitely recommend this property and, if anyone is a bit nervous about renting via VRBO, hopefully they'll see my review & be put at ease. I really could not have been more pleasantly surprised or happier with the entore process and our stay; we're making plans to return next year. This is our third time staying at one of Itz's Vista Cay properties, and each unit just gets better and better (all three have been wonderful, but I think this one is now our favorite)! 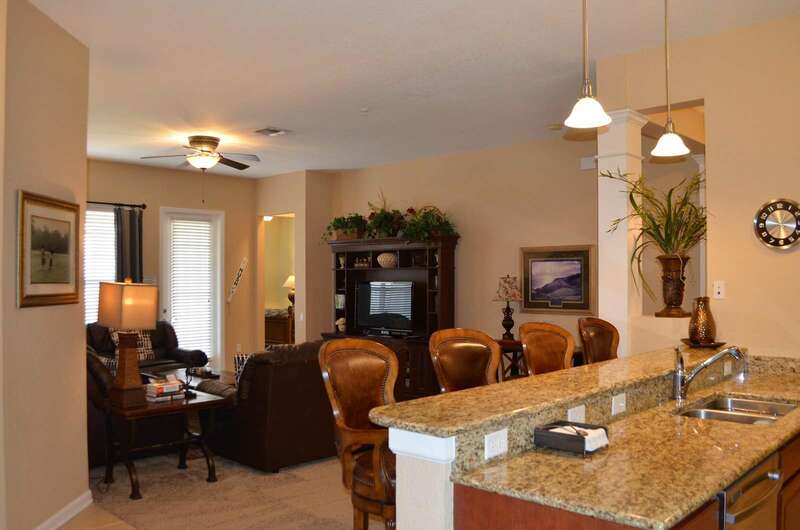 Beautiful and immaculate, easy access to all the parks (20 min door to gate/parking lot in Disney), a grocery store in walking distance, and a wonderful opportunity to visit the theme parks and then "escape." Can't wait to return next time! This is our second visit to Vista Cay, but the first time dealing with ITZ Properties. First, this unit is fantastic. A lot of room, nicely decorated, comfortable beds and equipped with everything we needed. Everything was clean and in order. Dealing with Ana was nothing less than spectacular. We had to make last minute changes in travel plans and chose to head to Orlando. Ana worked with us, was very accommodating to our circumstances and had great follow through with her communication. Would highly recommend this property and ITZ. Gorgeous Vacation Homes – Walking distance from N & S Buildings of Orange County Convention Center, and I-Drive!